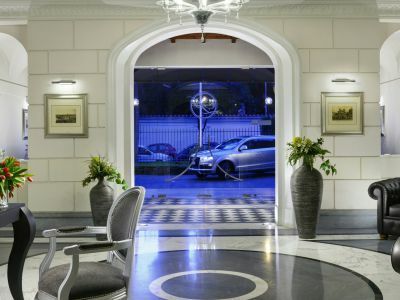 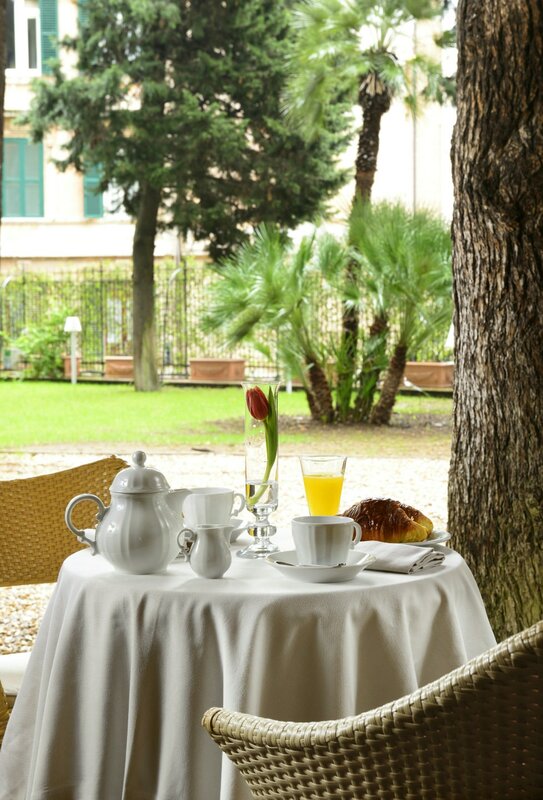 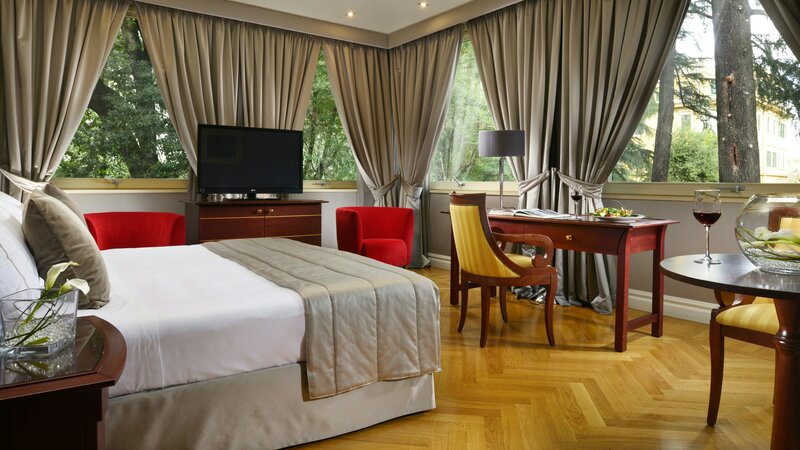 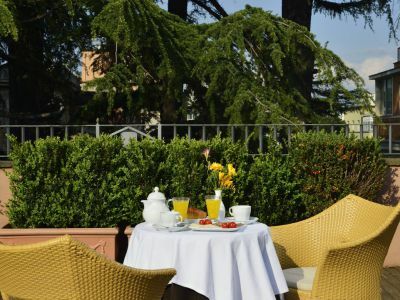 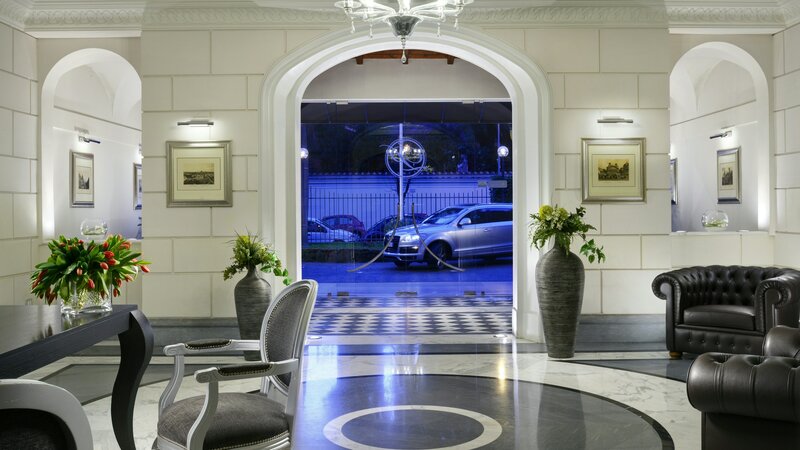 Located 10 min away from the city center in one of the most prestigious residential areas of the Eternal City, Hotel Principe Torlonia is surrounded by parks, embassies and elegant buildings. 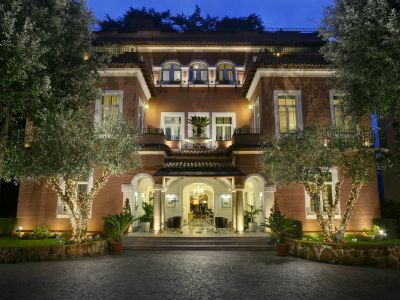 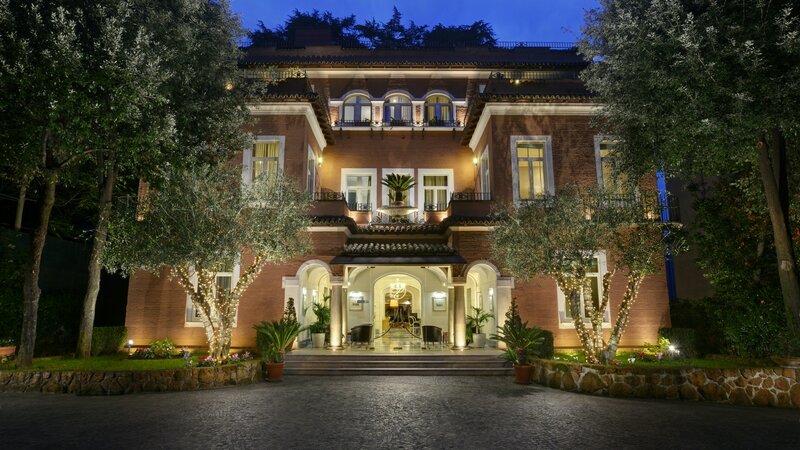 Friendly, attentive and helpful staff welcome each guest to a Neoclassical Villa that dates back to the early '900's, situated amidst lush gardens and surrounded by secular trees, offering all the modern comforts of an exclusive 4-stars boutique hotel.. 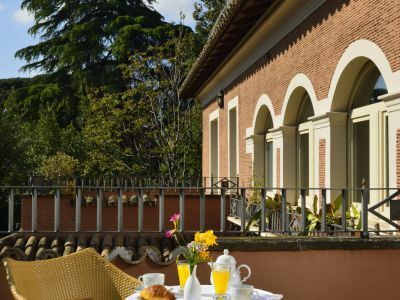 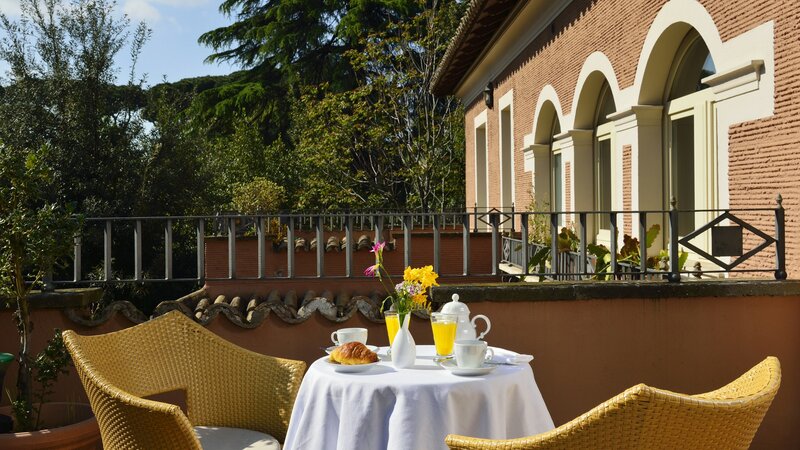 The Hotel is located a few steps from Villa Torlonia and Villa Paganini, near to the renowned Parioli district, just 2 km from Porta Pia. 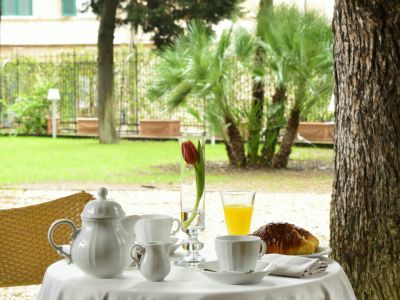 Nearby there are several bus stops from where you can reach all the main sites of historical, artistic and archaeological heritage. 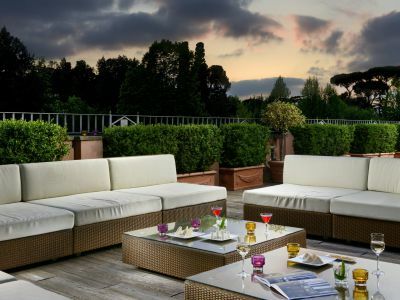 Metro station "Bologna" is just 700 meters away, on the “B" Line, you can reach the train station "Termini" in only 3 stops. 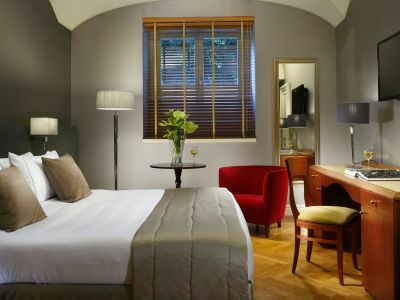 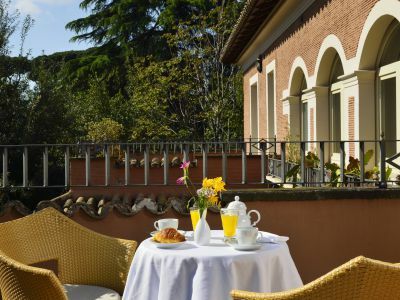 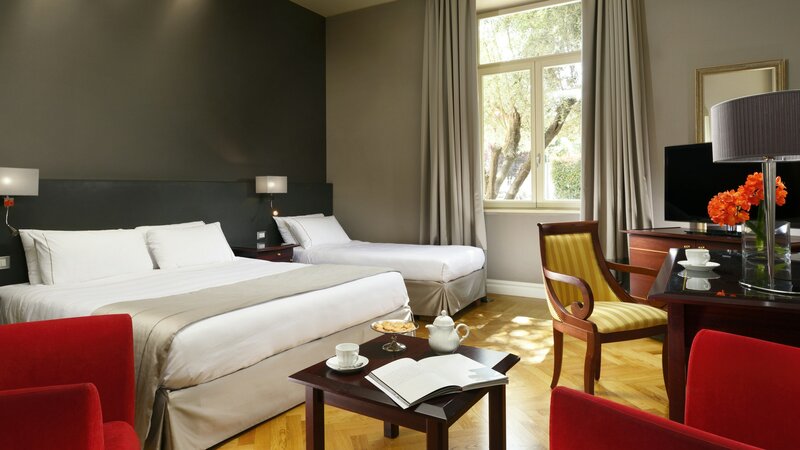 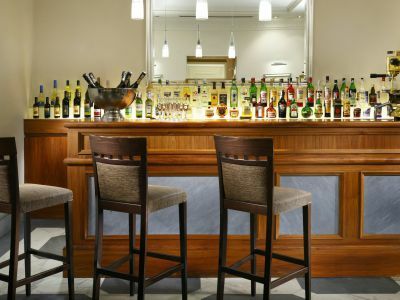 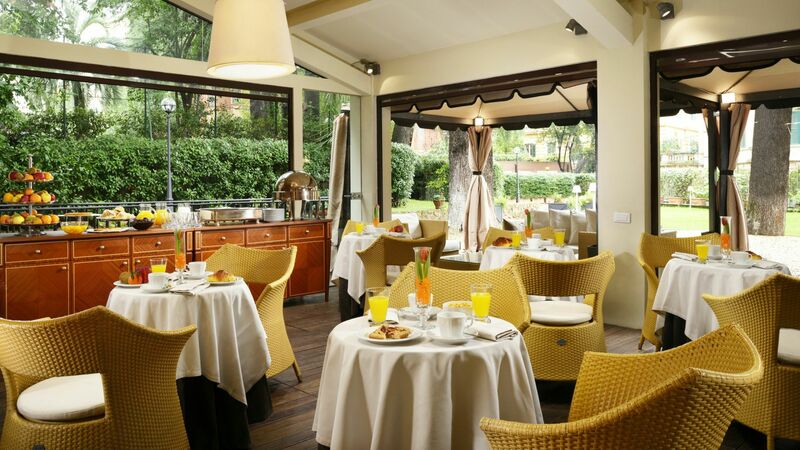 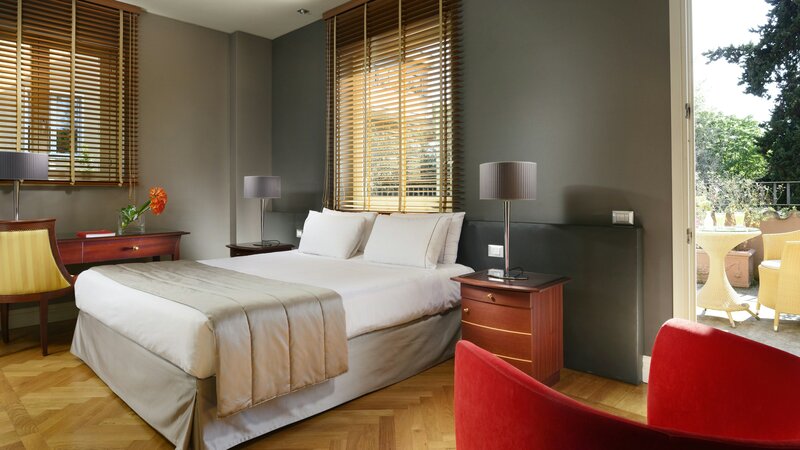 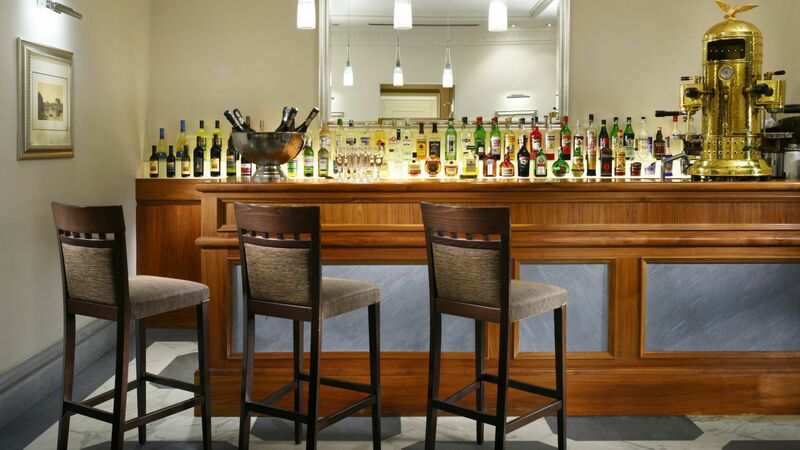 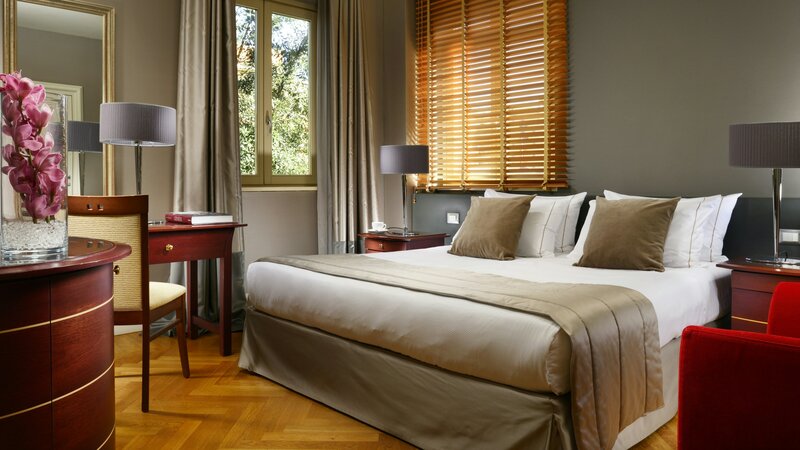 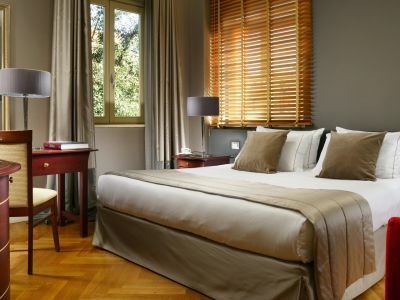 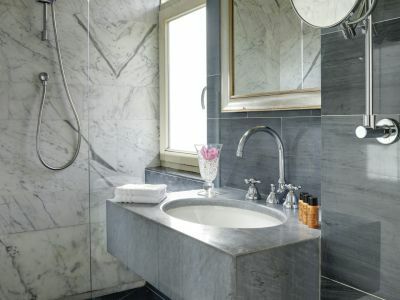 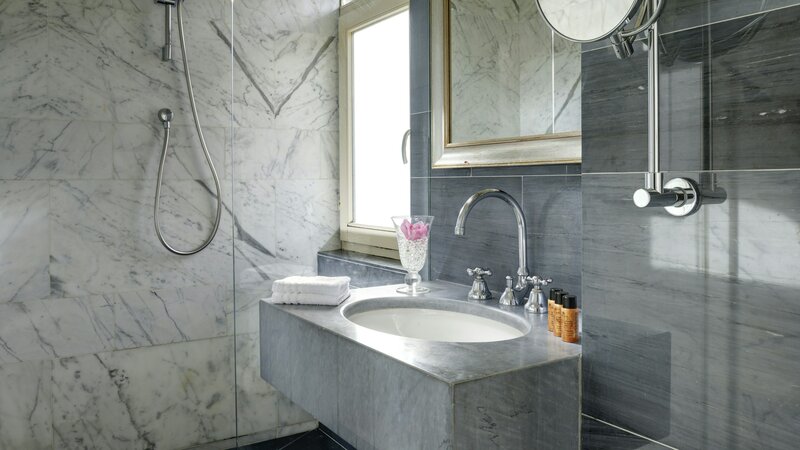 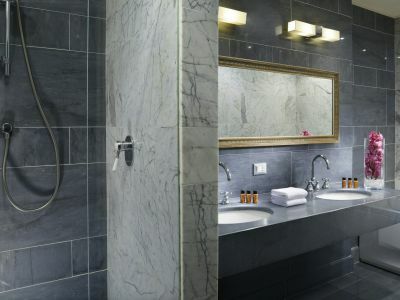 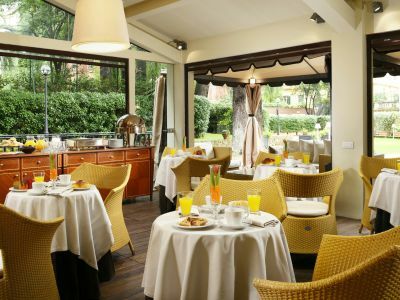 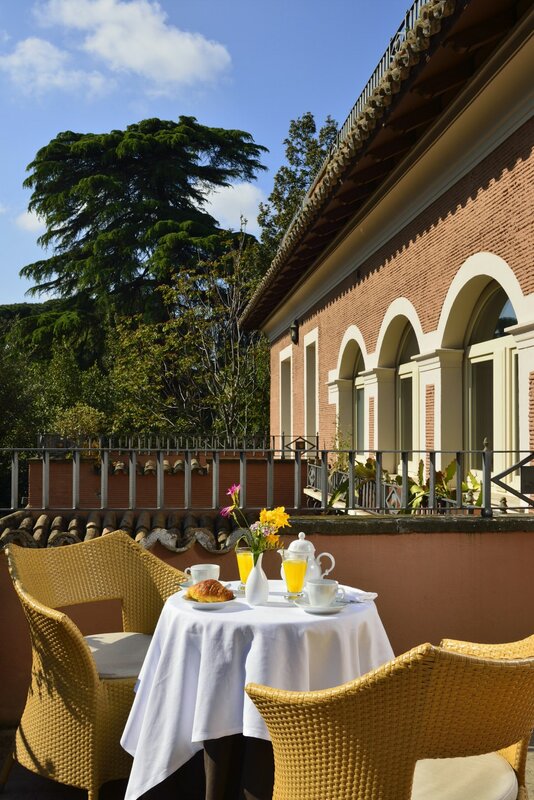 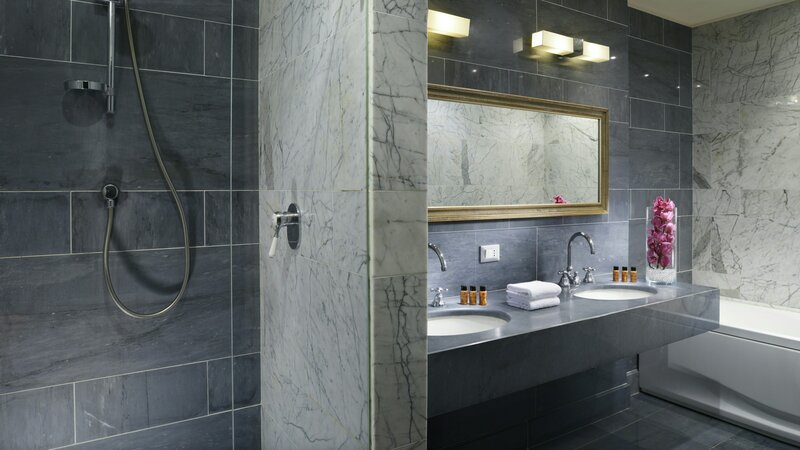 Recent investments made by the new hotel management have further improved the comforts and well-being offered to the guests, making Hotel Principe Torlonia the perfect place for your stay in Rome. 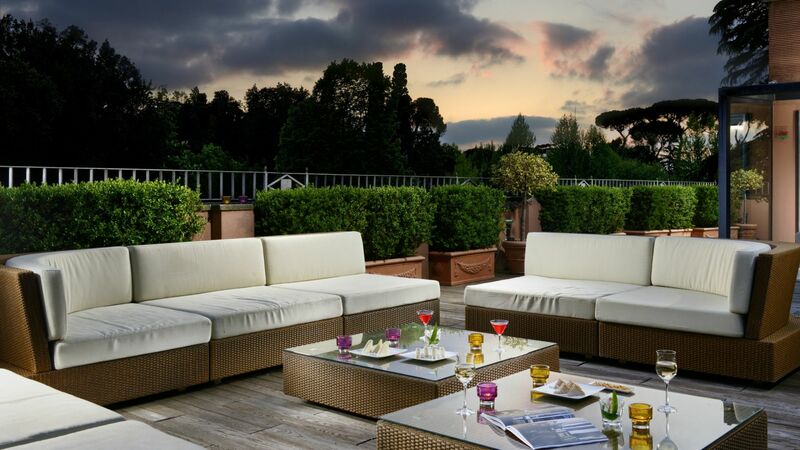 Beauty and tranquility. 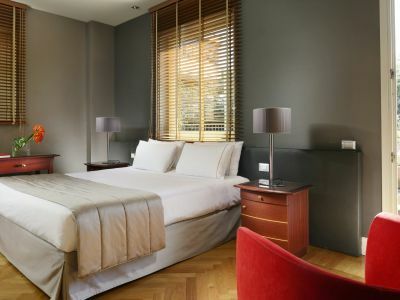 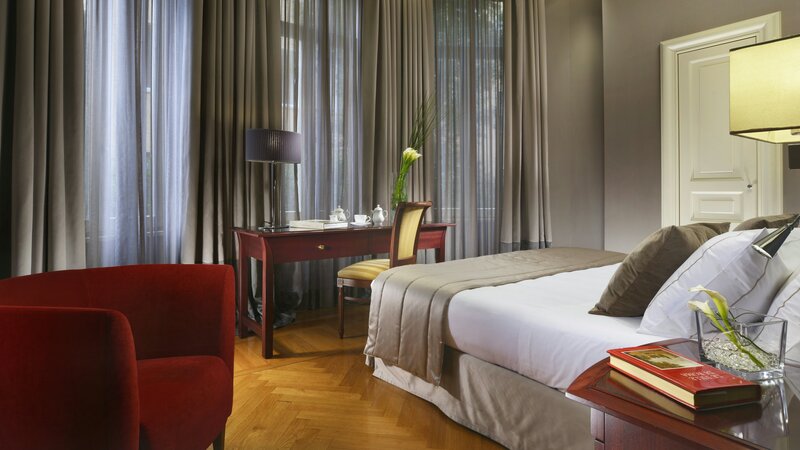 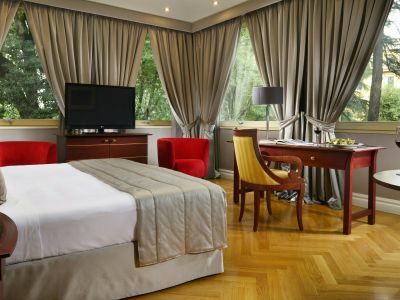 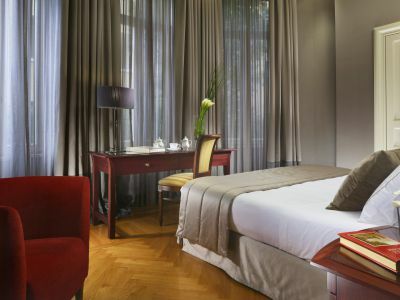 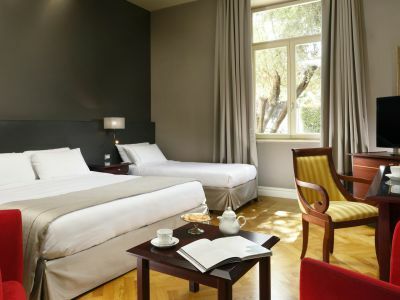 The Hotel offers its guests 27 rooms decorated in elegant classic style. 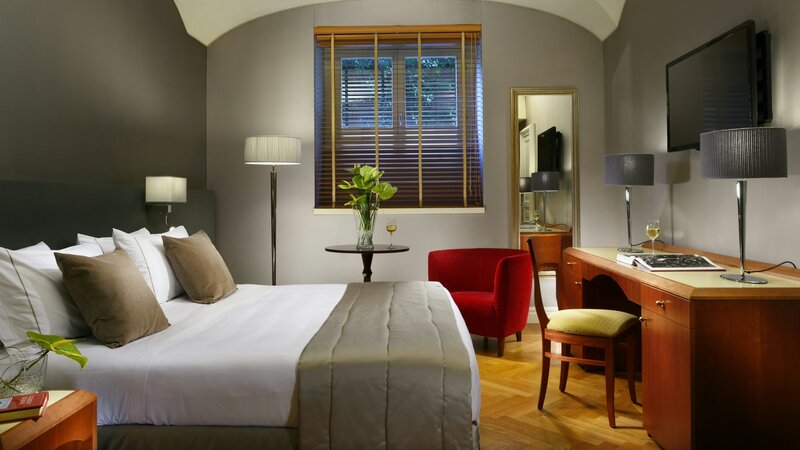 Economy rooms are located on the basement, the Classic rooms on the ground floor, Superior rooms above and suites on our dependance. 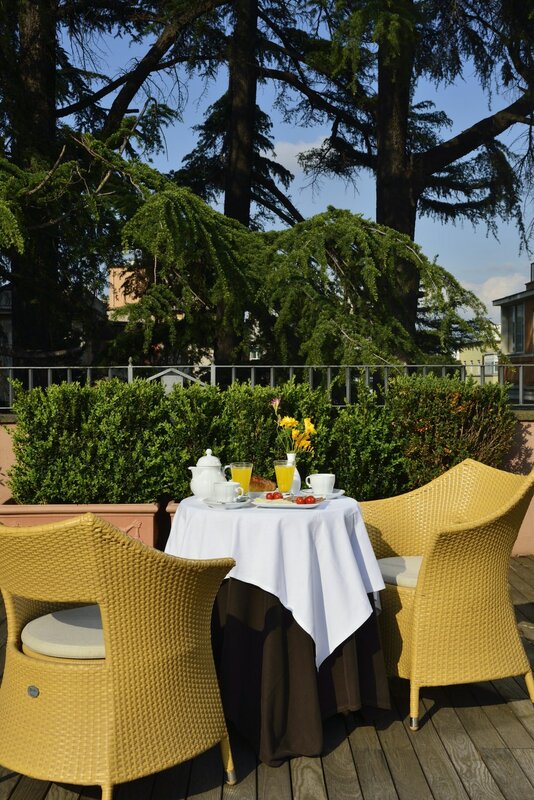 The hotel offers a panoramic terrace on the top floor, free Wi-Fi everywhere, breakfast and parkplace for 15€ per night. 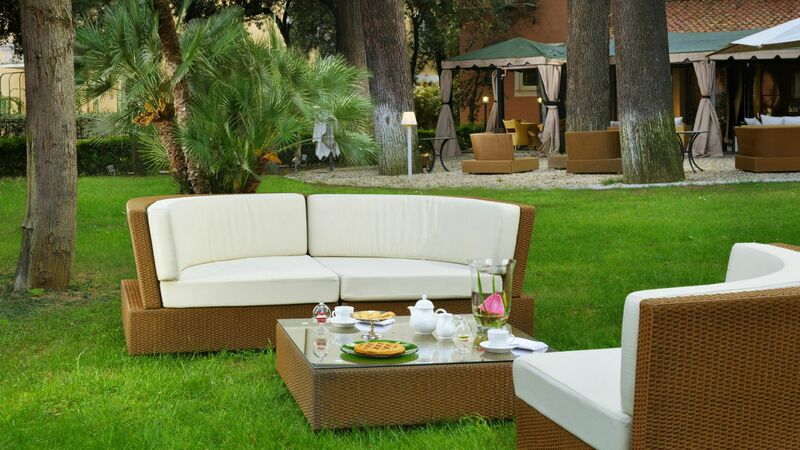 The perfect place for a relaxing vacation or business trip.